In episode 9 we show different lens options such as zoom vs. prime and Canon vs. Zeiss. We also go over some lens features and filters. Actually the 50 1.8 is sharper wide open then the Zeiss 85 1.4 (even when the zeiss is stopped down to 1.8).. It has horrid color though.. The value in the zeiss glass and reason I have a full ZE set is because the Zeiss lenses have better color, and 3D characteristics, which I believe is due to the color and the lenses ability to render tonal differences in a scene. Isn’t it the 100, NOT 105 mm f2.8L macro you are referring to? This was really great esp hearing about the Zeiss. I’ve looked into renting lens for shoots and it makes sense if it’s a very pricey lens…for example an L glass or fixed Fstop zoom may only cost you a $50 for 3 day rental. Thanks. You’re really in your zone….I watched your production evolve and it’s really great. 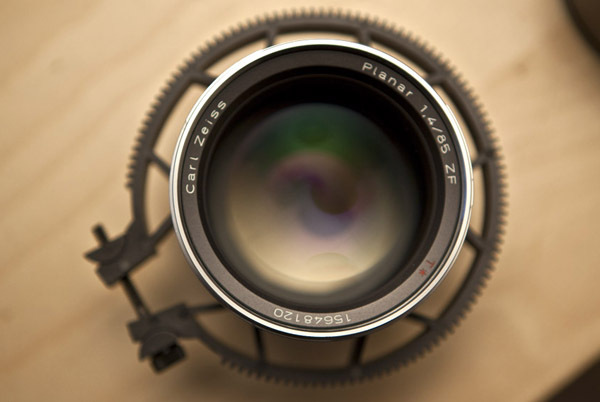 I’m seriously considering some of the Zeiss CP.2 lenses because of their adjustable mounts. Being able to use some really nice cinema lenses on a 5D Mark II and then adjust them to make them compatible with a camera that has a PL mount is pretty huge given the cost of glass. and also the 85mm, not 80.